Buy works – Veshcilov Konstantin Aleksandrovich | (1878, Petersburg – 1945). Veshcilov Konstantin Aleksandrovich (1878, Petersburg – 1945). Technique: Watercolour, gouache on board. Evening seascape. 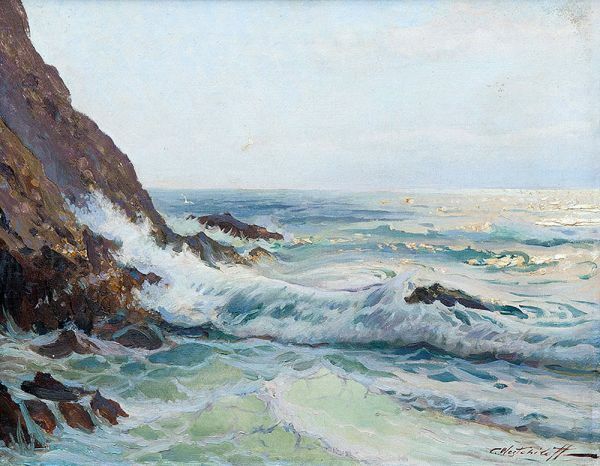 Rocky coast of ocean. 570000 - 700000 rub. 570000 - 700000 rub. 1200000 - 2000000 rub. 1200000 - 2000000 rub. 3000000 - 4500000 rub. 3000000 - 4500000 rub. Diptych. 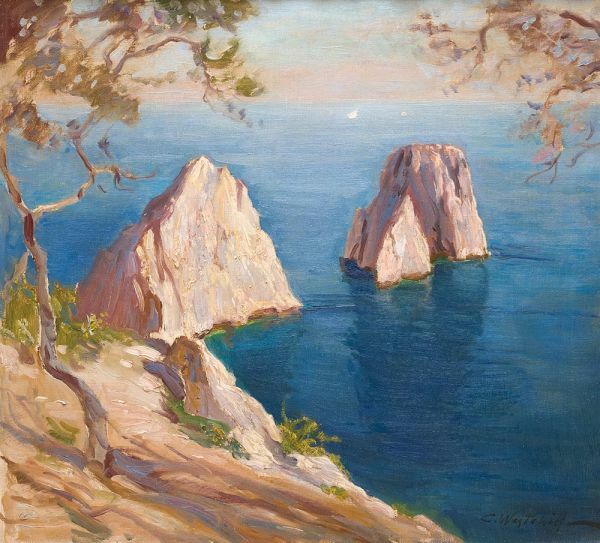 "Summer Day" and "Capri. House of K.I. Gorbatov". Lot includes 2 works.